Float tube made entirely of 1000 dernier polyester coated with thermo-bonded PVC and with reinforced seals. It features 4 high pressure “Boston” valves, two on the tubes, one on the seat and another on the floor. Based on this now legendary Sikkario, we have maintained the length of 1.70 metres while increasing the width to up to 118 cm and the diameter of the tubes to 32 cm for enhanced floatability and manoeuvrability during the fishing action and in sudden extreme situations. As well as the useful width of the seat, which is now at 54 cm, the thickness of the floor and seat (with an adjustable position) have also been increased. This raises the fishing position and gives an even better view of the water. There’s now even more storage space for your fishing equipment, thanks to the two large, detachable, reinforced 50cm long side pockets, featuring vislon plastic zips for greater convenience and safety. 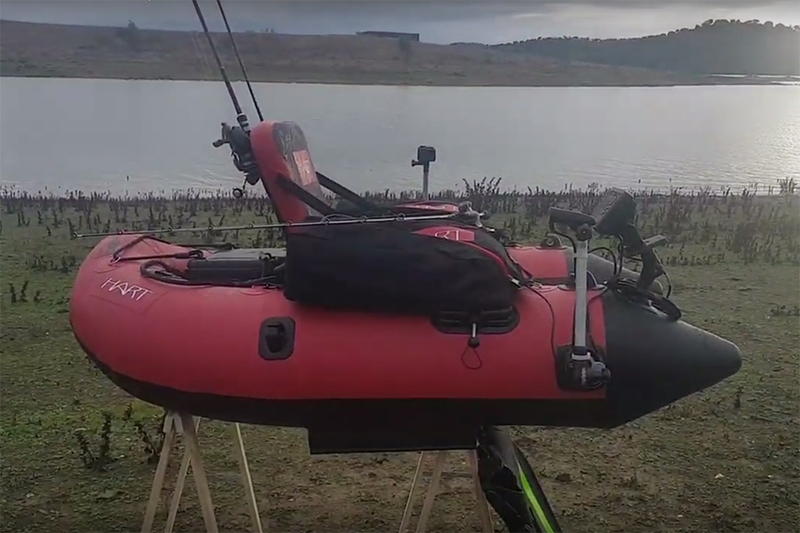 For out-of-water handling it is equipped with reinforced handles (on the sides and at the bow) and padded backpack-style straps so that it can be comfortably carried on your shoulders. It is equipped with oars and an aluminium reinforcement bar for mounting when handling large fish. Supplied with a high volume foot pump and carrying bag.